Leaders want to know if they have blindspots. You will discover your own blindspots. We all have them. Brian was blind for six of months due to a genetic disorder. When his sight left him, his perspective changed. Now his mission is for your perspective to change, without the need for brain surgery. Embrace your own personal blindness to achieve a greater vision. 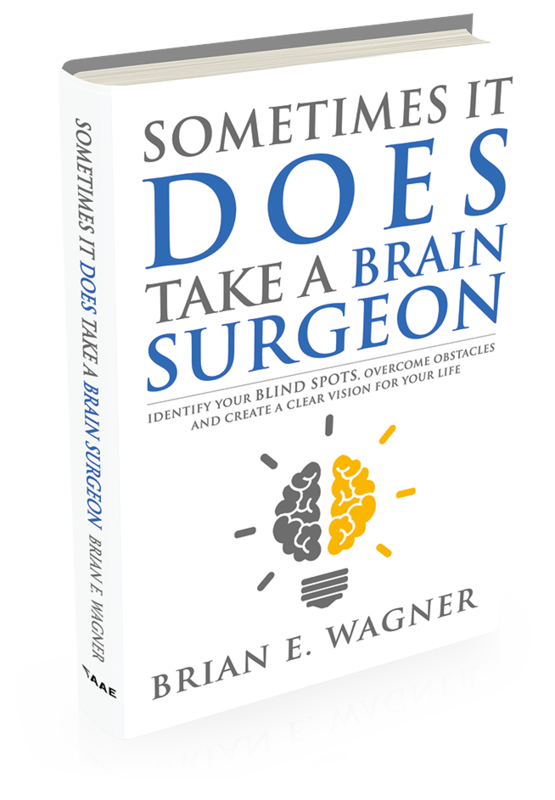 With his unique proven process Brian will take you from BLINDNESS to SIGHT and toward VISION. This is accomplished with tools and techniques that are relatable and actionable. Brian is an author and speaker who helps leaders see the world differently. At our last two annual conferences, Brian provided phenomenal presentations and is never one to just show up. He drives engagement, fuels conversation and creates connections. Brian stands out for being collegial, committed and easy to manage. Mr. Wagner is an inspirational speaker that captivated his audience. He used humor and stories to convey what he has been through and how he helps others to do the same. Brian Wagner was one of the best speakers that I've had the pleasure of working with. We all have our own “blindness” in the form of blind spots. GUIDING PHILOSOPHY: Everyone experiences adversity in their lives. Some deal better with it than others. We want to help people to embrace blindness so they can achieve vision.